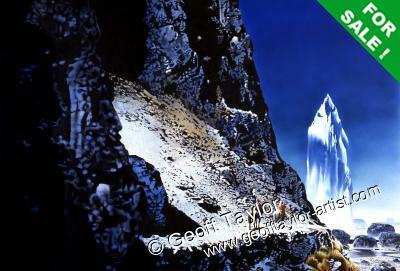 Geoff Taylor has illustrated book covers for many publishers around the world for over 40 years. 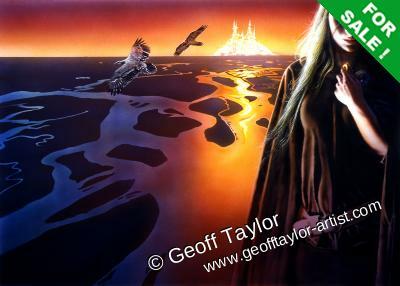 Geoff is best known within the Fantasy and Sci Fiction genres for his book cover art. 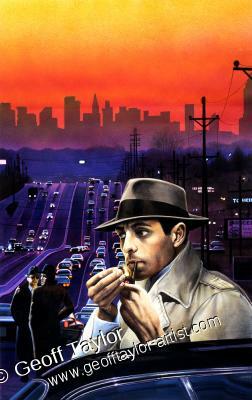 working with authors such as Raymond E. Feist, David Eddings, Katharine Kerr, Jack Vance and many others. 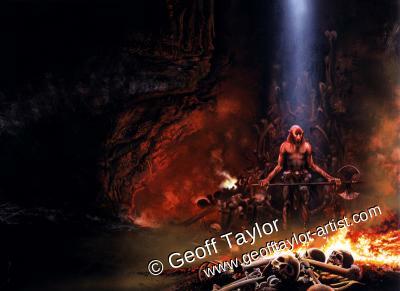 Geoff has created paintings for Games Workshop, the largest role-playing games company in the world, for use on their White Dwarf magazine, Warhammer box covers and bookcovers for the Black Library. 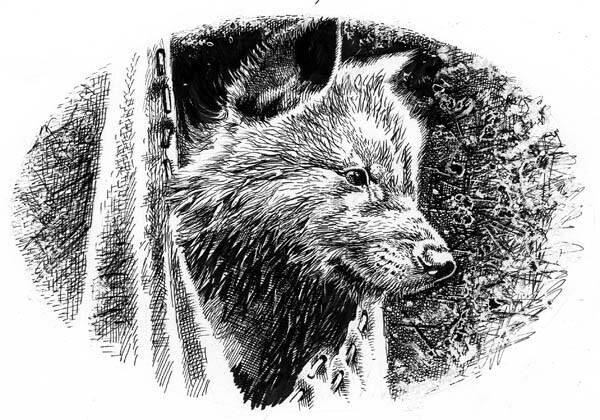 There are also hundreds more illustrations inside books, such as The Chronicles of Ancient Darkness: (Illustration from Wolf Brother Book 1) a series of 6 books by Michelle Paver. 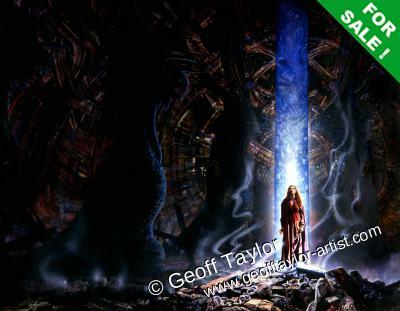 Geoff was also one of the illustrators for Jeff Waynes Musical Version of The War of the Worlds Album booklet. 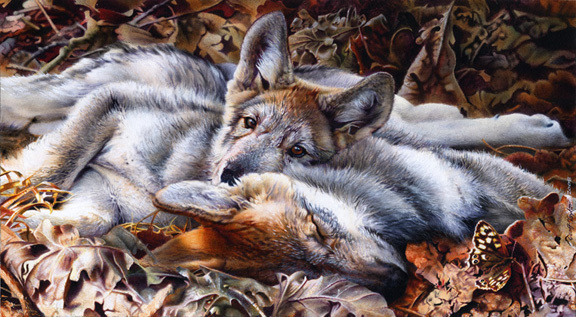 Geoff is also an accomplished wildlife artist, this can be seen in the detail of his wildlife art, paintings of wolves, owls, deer and other animals. 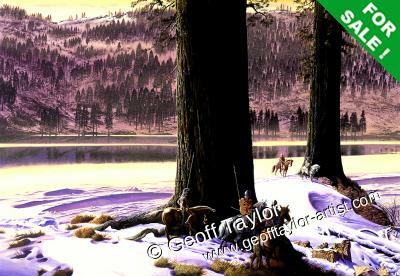 Wildlife Prints can be found in For Sale section of the website. 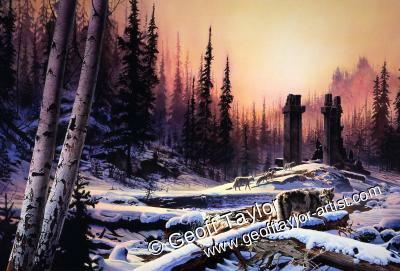 To view the artwork, many of which are for sale, go to Galleries then select from the list. Under the austere, yet inspiring, leadership of Klimt, the Wolves of Time have taken back the Heartland. 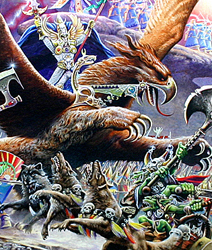 They have defeated the treacherous Magyar wolves, successfully avoided confrontation with the Mennen, and their first cubs have been raised, one of whom is the god Wulf, in mortal form. Marrimian, a kind, fair-minded leader, claims her right to the throne when her father dies, but the people fear starvation and begin a revolution lead by Marrimian's bitter younger sister, Pinvey. To Theophile Escargot, it did not seem right to be run out of Twombly Town for stealing his own pie. And so he began his journey to fabled Balumnia, where he would discover magical powers that could make him a hero--and unearth legendary secrets! The Lord of Necrond. After the events of "The Bard of Castaguard", the young lords of Torra Alta must fight the evil in themselves as well as those who - through deadly steel, treachery or magic - seek to destroy them and the entire kingdom. The trinity of priestesses must be reformed. 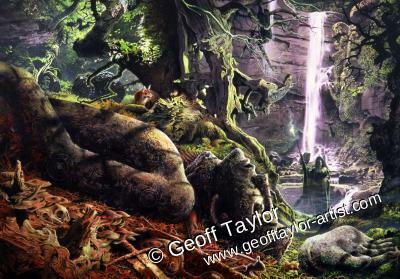 In the depths of Broceliande - an ancient French woodland - Merlin and the enchantress Vivien play out their deadly feud. 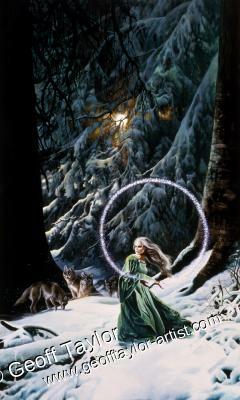 Martin and Rebecca are ensnared by the forest's net of enchantment, and she is sucked into its twilight world. 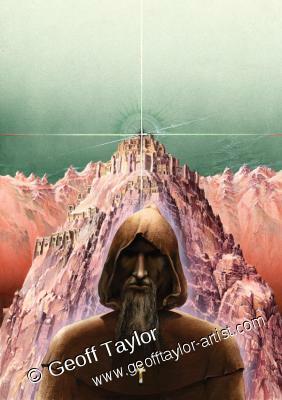 Crystal was given to the world of Ardhan by the Elders to save it from an evil wizard. But after destroying her enemy, Crystal's purpose for existing ended--until she saved a single human life and found a new cause for her growing powers. The enthralling sequel to Child of the Grove. Black Trillium. Those with the gift have the power One stormy night, three princesses are born. As each baby is placed into her mother's arms, so the Archimage Binah bestows on her a gift of great power: a pendant containing a bud of the long extinct Black Trillium. One day that power will be all that protects the princesses from certain doom.